Samoyeds have a distinctive white, fluffy double coat. 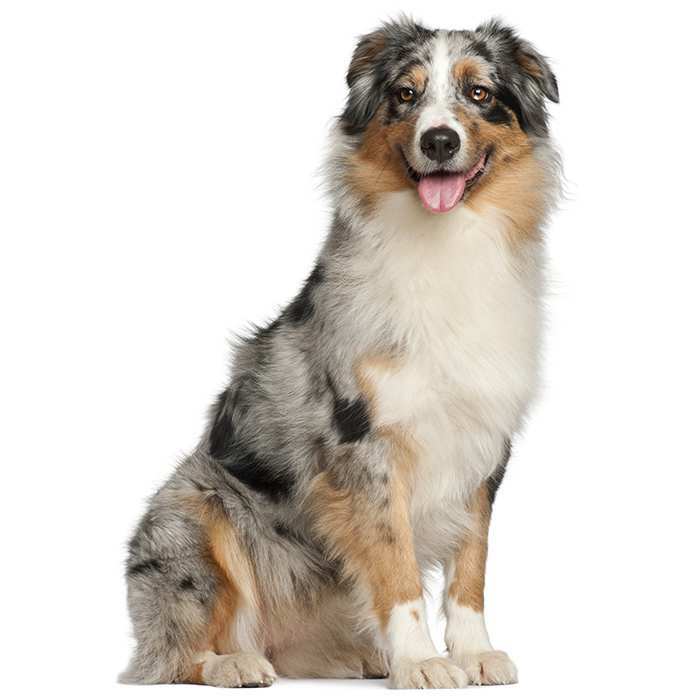 The topcoat has long, coarse, straight white/silver hair which protects the undercoat. The undercoat is made up of short, dense, soft fur which keeps the dog warm and is shed heavily one or two times a year – however, the dog sheds smaller amounts year-round. Typically, Samoyeds have black or brown eyes, but blue and other coloured eyes can occur. Ears are thick, fluffy, triangular and erect. They are usually the same colour as the rest of the dog’s coat, but can occasionally have a brown tinge around the tips. Like many other spitz-type dogs, the Samoyed has a thick, fluffy tail curled over the back with which some dogs have been known to cover their noses during colder weather. When comfortable and relaxed, the Samoyed’s tail falls, but will return to a curl when they are more alert. Healthy male Samoyeds tend to weigh between 23 – 30 kg and stand at 51 – 60 cm tall. Females weigh in around 17 – 25 kg and stand between 46 and 53 cm tall. The Samoyed’s lifespan is between 12 and 14 years. Aggression is very rare in Samoyeds, who are known for their friendly disposition and playfulness (which they maintain even in their old age). Their gentle and trusting nature makes them poor guard dogs, but they will often bark to alert their owners to strangers. The Samoyed gets along great with children and thrives on human companionship. 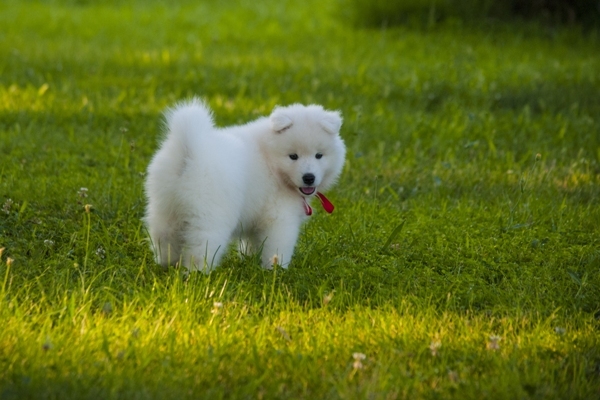 It can live peacefully with other dogs and cats, but due to its history as a herding and hunting dog, owners should be watchful of the Samoyed with small animals. If left alone for too long, the dog may become destructive, but with enough mental and physical activity and assertive leadership, the Samoyed will be a lively, sociable and well-rounded companion. The Samoyed is a very intelligent breed, but can be a bit stubborn when being trained. 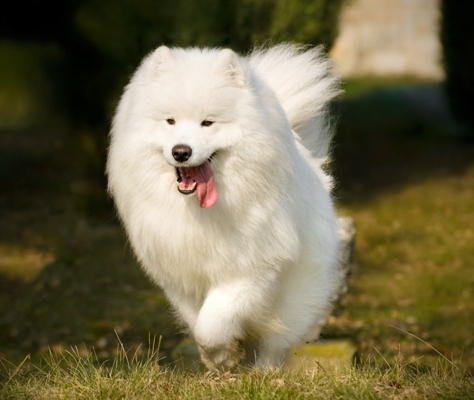 Like all dogs, the Samoyed does require some exercise, but they are generally not as active as other large breeds, and are quite happy to relax with their owners. Exercise is necessary, however, in order to mentally stimulate the dog so they do not get bored. A daily walk should be sufficient. 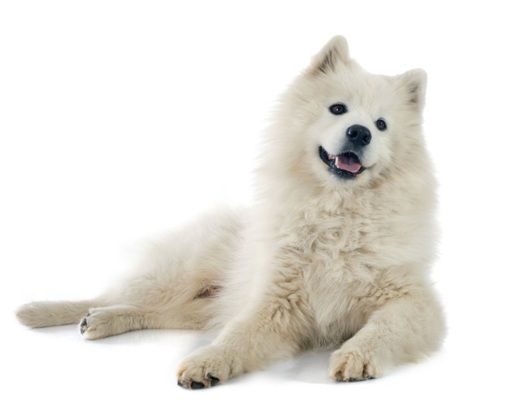 What are the most common health issues for Samoyeds? Glaucoma is distinguished by two types: primary (inherited) and secondary (developed). The increased eye pressure leads to vision impairment and pain. It can be treated via surgery or with eye drops. Hip dysplasia is a heritable condition in which the thighbone does not fit correctly with the hip joint. 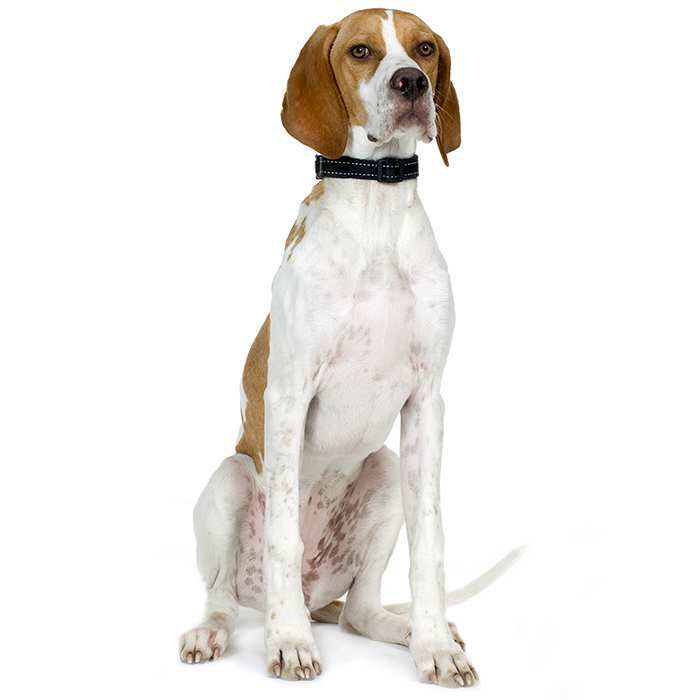 It can cause pain, lameness and eventually arthritis; however some dogs do not show any symptoms. 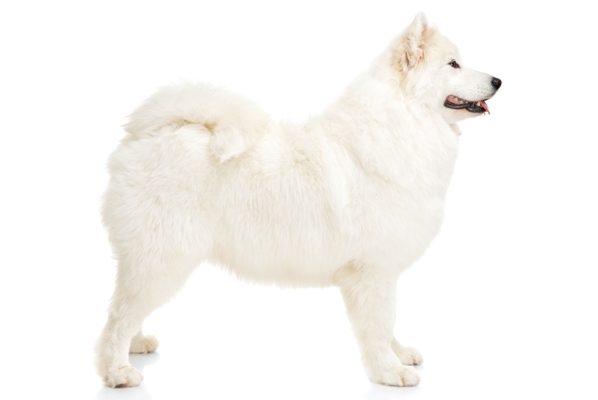 Samoyed hereditary ghlomerulopathy is an inherited kidney condition which can cause renal failure and death in male Samoyeds by the age of 15 months. Symptoms occur around 3 months old and include weight loss, proteinuria (an excess of protein in the urine) and hypoalbuminemia (abnormally low levels of albumin in the blood). 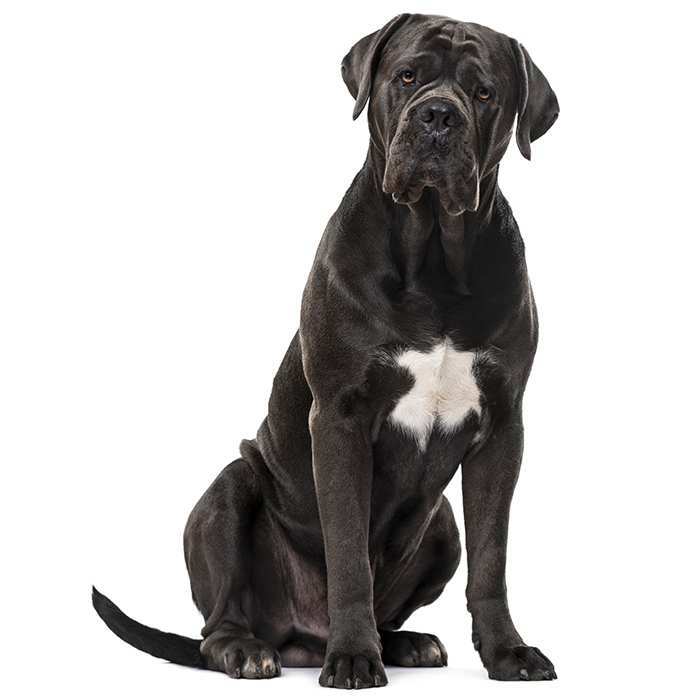 Patellar luxation occurs when the knee joint frequently slides in and out of place, which causes (occasionally crippling) pain, but many dogs still lead normal lives with the condition. Hypothyroidism is when the thyroid gland is underactive, possibly leading to the development of epilepsy, alopecia, obesity, lethargy, hyperpigmentation, pyoderma and other issues. It is treatable with proper diet and medication. The Samoyed is one of the oldest dog breeds (bred for over 3,000 years), named after the reindeer-herding Samoyedic peoples of Siberia. Though originally bred to hunt and herd reindeer and haul sleds, the Samoyedic peoples allowed the dogs to join in family activities at the end of the day and to help keep them warm. This early treatment of the breed has led them to become the trusting and loyal dogs they are today. The Samoyedic peoples led nomadic lives and were therefore reliant on their dogs for their working abilities and companionship. 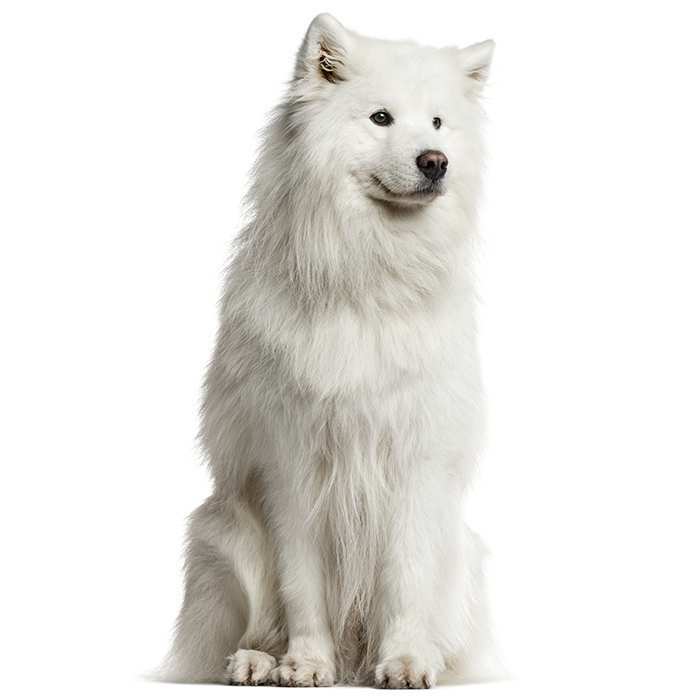 It was not until 1889 that the Samoyed was brought out of Siberia and into England by an explorer named Robert Scott. England then became the centre of the breeding efforts which led to the modern Samoyed – only 12 dogs are credited with the foundation of the breed today. Sir Ernest Shackleton, who travelled to Antarctica, brought Samoyeds on his journey where they suffered terribly and only the fittest dogs survived. Queen Alexandra was a fan of the breed and many modern English and American Samoyeds are descended from her breeding stock. The Samoyed was recognised by the UK Kennel Club in 1909 and by the American Kennel Club in 1923. Samoyeds are known for their happy, smiling expression known as the “Samoyed smile”. A Samoyed named “Etah”, the lead dog in Roald Amundsen’s South Pole expedition was the first to reach the pole. Helen Hunt owns a Samoyed named Johnny. The Samoyed is one of very few breeds which does not have a natural odour, nor do they get that “wet dog” smell. Like cats, Samoyeds generally look after their own grooming, keeping their white coat glowing and capable of removing stains from it. Their fur is often used as an alternative to wool for knitting due to its hypoallergenic properties and angora-like texture. It has also been used to create artificial flies in fly fishing.